We provide transportation services to any location in Ozaukee County. We are able to safely transport your pets to and or from the groomers, a doggy day care or any other location in Ozaukee County. We can also make a run to the pet supply store and pick up any items that you need and deliver them to your door. We will transport to and from a location outside of Ozaukee County on special occasions for an additional fee. By appointment any day of the week. We also offer our Veterinarian Visit services for all your pets. We will come to your Ozaukee County home to pick up your pets, safely transport them to your Veterinarian or the Emergency Clinic, wait with them for the exam, and then safely transport them back home with all the paperwork from the Vet. We will then give you a call at work to explain the Vet’s findings and whatever pertinent information there is for the future care of your pets. Our fee is much less than taking time off of work and a lot easier then running home on your lunch break or hurrying home after work to make the appointment at the clinic. 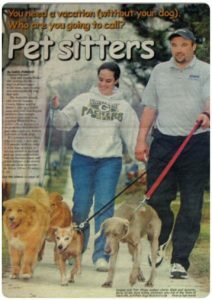 We also offer our services should the time come when you need to euthanize your pet, something no pet owner likes to do. 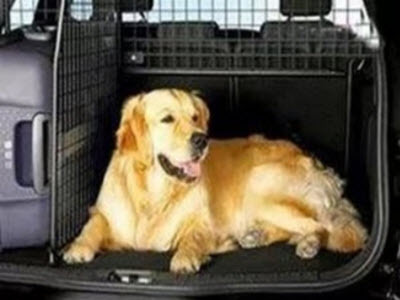 We can transport you pet to the Vet clinic and we will stay with your pet throughout the procedure and make sure their last moments are peaceful. By appointment, Monday – Friday from 9am to 5pm.